ONGC Admit Card 2019: Below are the admit cards published by ONGC - Oil and Natural Gas Corporation (ONGC) / ongcrecruit.in. The recent Admit Card issued for the recruitment drive is Non-Executive Post Admit Card 2019. 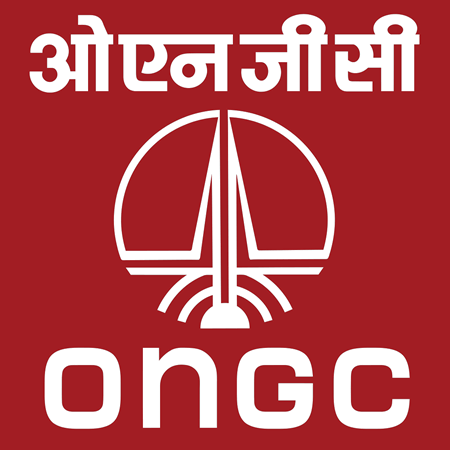 ONGC Non-Executive Post Admit Card 2019: Oil and Natural Gas Corporation (ONGC) has issued the Admit Card on 20 Mar 2019 for the exam. ONGC Non-Executive Post Admit Card 2019 - Non-Hazira Plant: Oil and Natural Gas Corporation (ONGC) has issued the Admit Card on 01 Mar 2019 for ONGC Non-Executive Post Exam 2019 - Non-Hazira Plant. ONGC Specialist Doctors Interview Call Letter 2019: Oil and Natural Gas Corporation (ONGC) has issued the Admit Card on 16 Feb 2019 for Specialist Doctors Interview 2019. ONGC Marine Security Supervisor Admit Card 2019: Oil and Natural Gas Corporation (ONGC) has issued the Admit Card on 22 Jan 2019 for Marine Security Supervisor Exam 2019 which is scheduled to be held on 31 Jan 2019. ONGC Contractual Paramedics Admit Card 2019: Oil and Natural Gas Corporation (ONGC) has issued the Admit Card on 22 Jan 2019 for Contractual Paramedics Exam 2019 which is scheduled to be held on 31 Jan 2019. ONGC Non-Executive Admit Card 2019: Oil and Natural Gas Corporation (ONGC) has issued the Admit Card on 22 Jan 2019 for Non-Executive Exam 2019 which is scheduled to be held on 31 Jan 2019. ONGC Non-Executive Admit Card 2018: Oil and Natural Gas Corporation (ONGC) has issued the Admit Card on 05 Oct 2018 for Non-Executive Exam 2018. ONGC Assistant Legal Adviser Interview Call Letter 2018: Oil and Natural Gas Corporation (ONGC) has issued the Admit Card on 22 Aug 2018 for Assistant Legal Adviser Interview 2018. MRPL Engineer Through GATE 2017 Admit Card 2018: MRPL has issued the Admit Card on 20 Jan 2018 for Engineer Through GATE 2017. Downloading of Call Letter for Skill Test/PET & PST for recruitment at CBM Asset, Bokaro: ONGC has issued the Admit Card on 31 Oct 2017 for Skill Test/PET & PST for recruitment at CBM Asset, Bokaro. ONGC has issued the Admit Card on 18 Sep 2017 for Advt. No. SS/1/KKL&CHN/2017 (Non-Executives) (For Karaikal & Chennai), Exam for Technical Assistant Grade III (Chemistry), Junior Assistant Technician (Diesel), Junior Assistant (Material Management), Junior Motor Vehicle Driver (HV), Junior Fireman, Assistant Grade-III (Materials Management) and Junior Assistant (Materials Management) Posts which is scheduled to be held on 08 Oct 2017. ONGC has issued the Admit Card on 01 Sep 2017 for 06/2017(R&P).